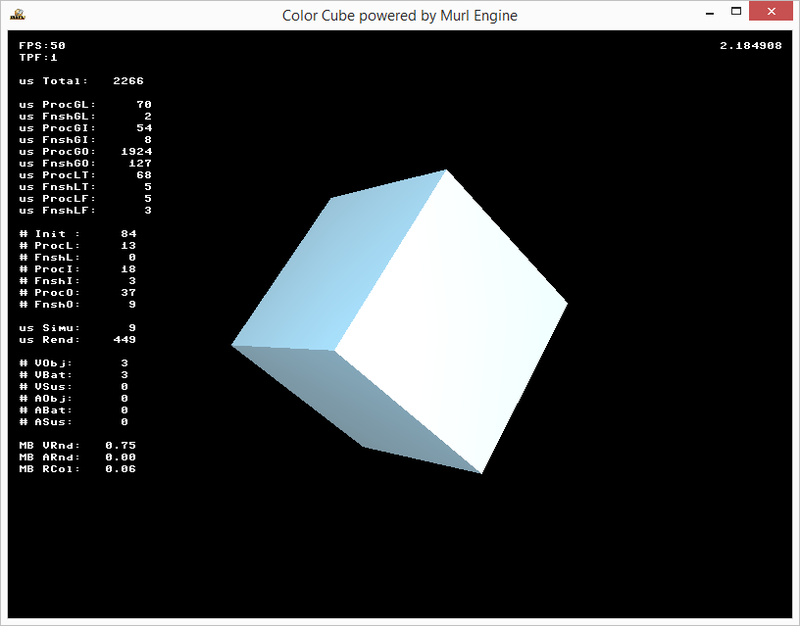 In the next tutorial, we add a colored material and a light source to make our cube look a bit more interestingly and extend our logic processor to react on user key input. We will take the previous tutorial’s code as the basis for our next steps. Find the project files in the folder tutorials/chapter01/02_color_cube/project. For reasons of clarity, we start by moving the definition of our cube’s material to a new file named graph_materials.xml. Splitting logical groups to multiple files is useful especially in larger projects and allows the easy reuse of existing components. To avoid naming conflicts, it is possible to use Graph::Namespace nodes in our scene graph, which represent a way to hierarchically organize our graph nodes. Similar to file paths in a computer file system, a named reference into the scene graph can be represented by a (nested) representation of namespace IDs, followed by the actual node ID. The / character serves as a separator, much like in an UNIX-like file system. A preceding / character denotes the root namespace analogous to an absolute file path. Without a preceding / , the referenced element can be specified relative to the current namespace. Moving up one level can be done using the character sequence ../ . 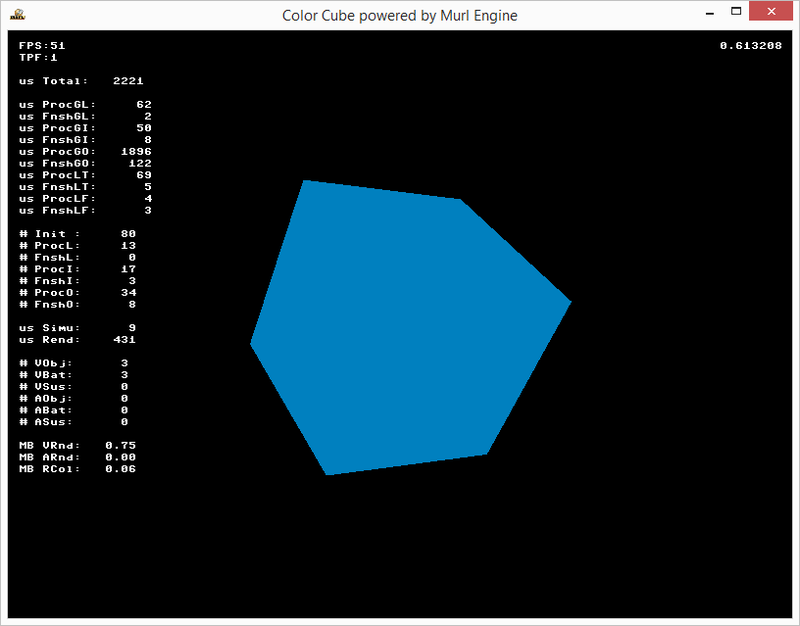 In our example, the material’s path changes from "mat_white" to "/material/mat_white" when located in the "material" namespace, and "myCube01" changes to "/myGraph/myCube01" . We also specify the optional attribute activeAndVisible="no" at the namespace node to deactivate and hide all nodes in its sub-tree. We will later see why. We can use the Graph::IRoot::PrintTree() method to print the whole sub-graph starting at a given node to the console. Comparing this output to the output of the previous example shows the actually created Namespace node: Additionally, it shows that the whole graph is embedded into a root namespace node. In the next step, we define a new FixedProgram using the attribute value coloringEnabled="yes". In addition, we specify a material using default values, and a new FixedParameters node together with its diffuseColor attribute. In the file graph_main.xml we now have to activate both our new material and parameter nodes for rendering. We could also safely omit the given attribute definition slot="0" as the default value for the slot attribute is 0 in any case. Create a light source in our scene graph. 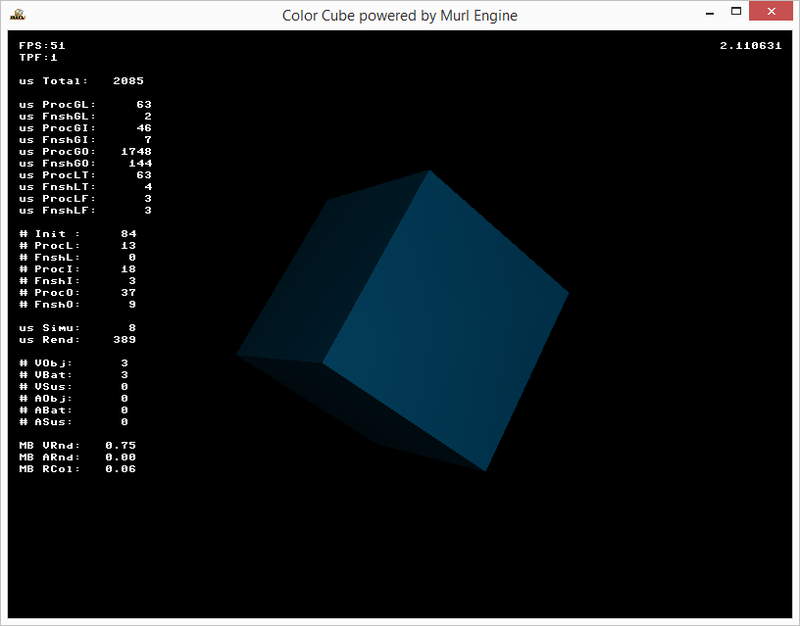 So far, we always added our cube as a child node of our camera to assign it to the camera for rendering. A generally more flexible way to perform this task is to use a CameraState node, which allows separating the definitions of camera and geometry. Analogous to material and parameters states, a CameraState node activates a camera for all subsequent rendering until a different CameraState node is encountered. To conclude this example, we want to be able to close our application, when the user presses the ESC key on a physical keyboard or the BACK button on an Android device, and furthermore, we also want to improve the color parameters for lighting. To react on different user input, the Murl engine provides a device handler object (Logic::IDeviceHandler). We can obtain a pointer to this object using the Logic::IState::GetDeviceHandler() method. To check for physical keyboard input, we can use the device handler's WasRawKeyPressed() method; on Android buttons we can use WasRawButtonPressed(). As long as the key is down, IsRawKeyPressed() returns true in every logic tick. When the key is released, WasRawKeyReleased() returns true for exacly one logic tick. This scheme (was pressed, is pressed, was released) can be found throughout the Murl engine, e.g. for Input::IRawKeyboardDevice, Input::IRawButtonDevice, Input::IJoystickDevice, Input::IMouseButtons etc. Try different color parameter values. What needs to be done to rotate the cube manually around the X, Y and Z axes using the keyboard keys 1, 2 and 3 respectively instead of automatic rotation?